Why do you need a Roof Certification? 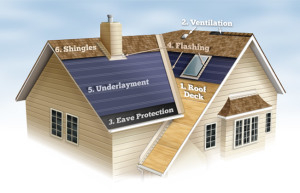 A Roof Certification Inspection is a limited, visual inspection of the roof system. Many underwriters/insurance companies require a Roof Certification Inspection to confirm that your roof is in good condition or when the roof has reached 15 years or older. The Roof Certification Inspection is often required when renewing or switching insurance companies. One IMPORTANT part to prepare for your Roof Certification Inspections is to have any copies of receipts or permits on hand ahead of time.